Sipho Ndebele’s childhood was tough and his parents were separated. Subsequently, he moved from one township to the other, even as far as Mafikeng. In Alexandra he lived in Ninth Avenue for a while and became familiar with two notorious gangs known as Spoilers and Msomi. Author communication, 23 June 2005. Born Vrededorp, Johannesburg, 1936. Training No formal art Training. Exhibitions Known to have participated in several group shows in the 1960s. 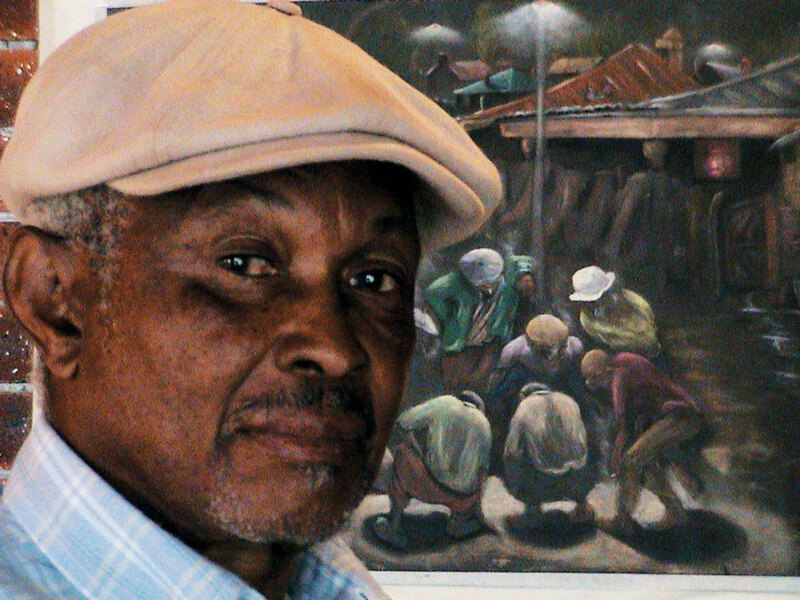 Photograph of Sipho Ndebele. Courtesy of Prince Dube, Johannesburg.